I love poke bowls since my university days at NYU. There were so many spots near my campus that served them and I often had a poke bowl before going to class. Instead of the traditional bowl filled with rice, I used cauliflower rice for this recipe. One cup of white rice has 45 grams carbs which is equivalent to 3 slices of white bread. You wouldn’t really sit down to eat 3 slices of bread so why do it with a bowl of rice? 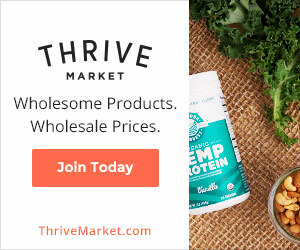 This is why I replaced the white rice with cauliflower rice which is lower in carbs (5 grams per cup). Cauliflower is an extremely healthy vegetable that is high in fiber (supports weight loss and healthy digestion), vitamin C (helps with collagen productions) and vitamin K (prevents bone loss). This recipe is also high in antioxidants, which protect your cells from harmful free radicals and inflammation. Enjoy! STEP 1. Heat a large skillet over medium heat and spray with cooking oil. Add the cauliflower rice and sauté until tender for about 5 minutes. If the rice begins to stick add a splash of water, no need for oil here. Split the rice into two serving bowls. STEP 2. 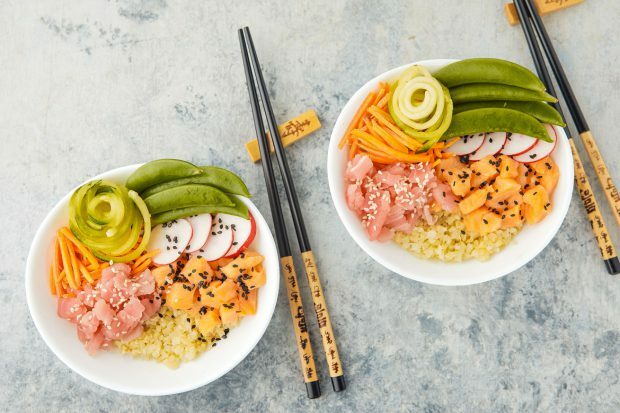 Arrange the bowls with the carrots, radishes, zucchini, peas, tuna and salmon. Sprinkle with sesame seeds. STEP 3. In a small bowl, mix the tamari, sriracha, wasabi and sesame oil. 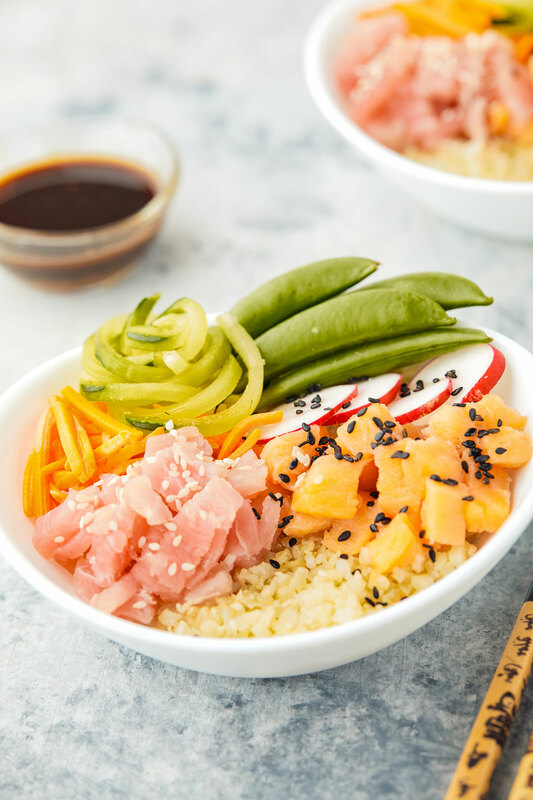 Serve on the side with poke bowls and pour some over when ready to eat.